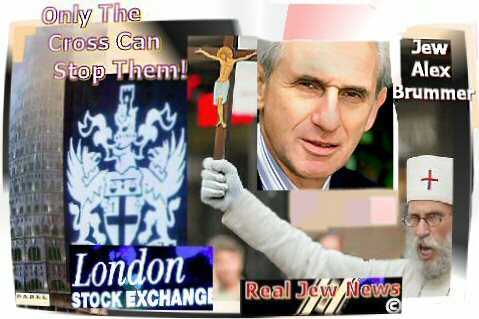 JEWS & THEIR $$$ CONTROL ENGLAND & the entire United Kingdom, & all of Europe as well. 1. ‘Lord’ Jacob Rothschild: (Born 1936) Chairman of N.M. Rothschild & Sons in London which has 47 offices world wide. He is also Chairman of Rothschild Investment Trust. ~ Rothschild Investment Trust has predominant holdings in companies such as Royal Dutch Shell Petroleum; Vickers of England (the world’s largest munitions factory); Shinsei Bank of Japan; Vivendi Universal Media of France; Laesquadra Copper Mines of Mexico; The Economist News; Lukoil; Deutsche Borse Group of Frankfort Germany (dominates European securities trading); DeBeers Mining; and Phelps Dodge Copper Mines; all HERE. ~ Jacob Rothschild is also Chairman of the Jewish Agency & the Rothschild Foundation which donated the Knesset building and the Supreme Court to Israel. The Jewish Agency & the Rothschild Foundation built and supports numerous Israeli settlements. 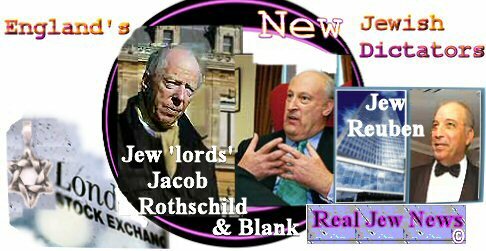 # England’s politicians know where to stand on the issues so as to please the Jew, ‘Lord’ Jacob Rothschild. 2. ‘Lord’ David Wolfson: ‘Knighted’ (Jew $$$ is ‘honored’) in 1984. Former Chief of Staff to Margaret Thatcher from 1979-85. Served as Chairman for Jewish-run corporations such as Great Universal Stores & Fibernet. ~ Wolfson was instrumental in building Oxford University’s Centre For Hebrew & Jewish Studies. 3. David Pearl: Chairman of the Structadene Group. The Structadene Group has a huge portfolio of commercial properties throughout England. 4. Alex Brummer: Editor of England’s ’s 2nd largest daily newspaper the Daily Mail. Prior to his new position at the Daily Mail in 2000, Brummer was the Financial Editor of the Guardian. ~ Brummer is a regular writer for the Jewish Chronicle. Brummer is a regular speaker at major Jewish events. Brummer writes extensively on the Holocaust & Middle East policy. # England’s politicians know where to stand on the issues so as to please the Media-Jew, Alex Brummer. 5. David Lewis: Multi-million dollar hotelier in England. Known abroad for building hotels in Israel’s Eilat “vacation spot” for the Jewish “jet set” while Palestinian children’s faces are being burned by US-made cluster bombs. 6. Ian Marcus: Chairman of European Real Estate Investment Banking Group at Credit Suisse, one of the world’s leading banks. ~ The Group’s role is to co-ordinate all of the real estate activities of Credit Suisse throughout Europe. Marcus is also President of UK’s trade body, the British Property Federation. 7. ‘Sir’ Victor Blank: Chairman of Lloyds TSB International Banking Group. Former Director of The Royal Bank of Scotland. ~ Blank chairs United Jewish Synagogue’s Hillel College Outreach and is involved with the Labour Friends of Israel. Blank is also on the Board of Governors of Tel Aviv University. Blank is an active promoter of business links between the UK and Israel. 8. Simon Reuben: Founder of Trans-World Metals the world’s 3rd largest producer of aluminum. ~ Reuben exploited the frantic selling in the aftermath of the collapse of the Soviet system when Russian aluminum smelters were incapacitated by debt due to Harvard University’s Jeffrey Sach’s (a Jew) hyper-inflationary program of “economic shock therapy” for post Soviet Russia Here. ~ By Reuben buying up half of Russia’s aluminum industry he now has an estimated wealth of 3.25 billion in British pounds. Reuben is founder of the Reuben Foundation which supports Zionist causes around the globe. OF ENGLAND & THE UK & ALL OF EUROPE? + Never drink Earl Grey tea again. + Never watch a Rugby game again. + Pray To The Lord Jesus Christ That Though The Power Of His Cross The Jews Of England Will Be Conquered Once & For All! I am being banned from many Sites & Forums. 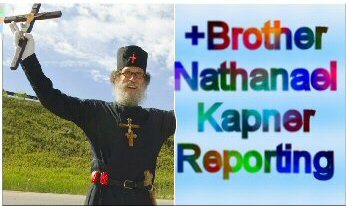 You Tube, Craig’s List, New Republic Forum, various Google Groups, and many so-called “religious sites” have banned my articles. They have all placed a screen on my IP Address. ~ Thus I am asking all of my readers that they themselves post my articles on as many Sites & Forums as possible, (still using my name & link), so as to wake people out of their slumber! The Most High will stop them come Judgement Day! If you are for real why don’t you ever talk about the holohoax? Haven’t you seen David Cole’s DVD titled David Cole Interviews Dr. Piper? I have seen David Cole’s DVD and it is striking. Too bad what our children are brainwashed with through the tours to Auschwitz. I have protested to our school. The holocaust has become an industry. Not 6 million, but maybe 60 millions were killed in the Soviet concentration camps GULAG from 1917-1990. And the main leaders of NKVD were Jaws (Jews): Beria, Jagoda and more. But not a single word about this outrageous act by the confiscators of Russian property. Sorry +BN, Im still gonna watch my rugby. Id recommend setting up and using non-Jew banks so they dont plunder your money. Unfortunately I see a lot of the Christianity being used to say otherwise of the jew presence…Forget about Judeo-Christian! It is a foreign cloud over Europe in the first place. Jews are smart and at the same time stupid. Unfortunately they can’t get along with the rest of the world because they put too much emphasis on money and this primary desire makes them stay up at night burning the midnight oil thinking of ways to deceive, lie, scheme and cheat for power and control. History has taught them nothing. The pharaohs hoarded and Jews hoard and for what? We are all going to die. Stop hating Arabs, they are your cousins. The day Jews change this world will be a better place to live in. I didn’t know you were being banned. But I went to You Tube to do as you said about posting your info, but seems the ban is lifted on you at least on You Tube, as today I listened to some of your videos. But I am going to post your written info to my blogger which I use to post all or any info I think is or remember to put up there, as it is devoted to only this topic. Thank you. I’ll email you my blogger info and You Tube name. So you can look at an amateur’s attempt to do their bit, however it may help as one cannot simply do nothing. Jewish control is absolute, they bribe the Shabat goys so it is hopeless! What we need is a miracle! (Supernatural intervention)! All Jews, yes, all Jews — they come 1st and everyone else second.